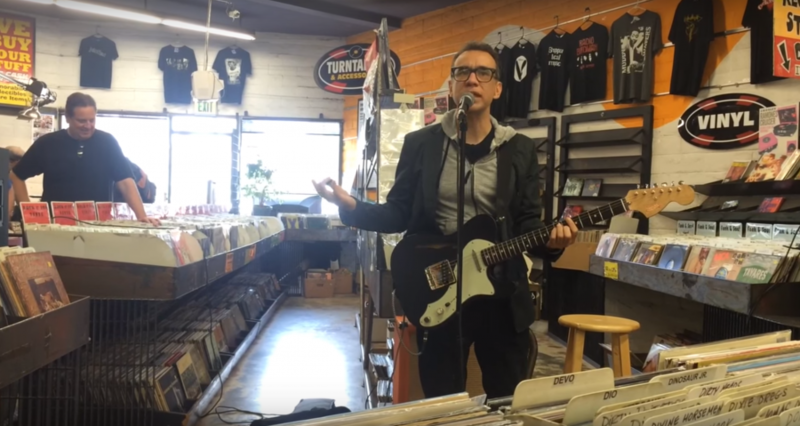 Fred Armisen To Appear At Red Onion Records In D.C.
Last month, Portlandia co-creator Fred Armisen reportedly sang the praises of D.C. label Dischord Records during a taping of NPR’s Pop Culture Happy Hour. A few years back, he dropped references to D.C.’s punk scene on Portlandia. Now the ex-Saturday Night Live cast member is showing once more that his love for the nation’s capital is true: The actor is scheduled to appear Friday at Red Onion Records in D.C. Drag City Records, which organized the event, doesn’t know exactly what Armisen has in mind, either. But label rep Kathryn Wilson says the actor’s D.C. appearance might resemble what he did in October at Santa Cruz shop Streetlight Records: songs from his fake soft-rock band The Blue Jean Committee (from Documentary Now) as well as other phony ensembles he’s invented in the past. Wilson says Armisen will probably wind up doing a “super-minimal” set with either an acoustic or electric guitar at the U Street shop. Red Onion owner Josh Harkavy says Drag City pitched him the Armisen in-store show last week. “I responded ‘heck yeah’ as quickly as possible,” he says.